The best of: Author excerpt series. There are so many incredible writers, so much talent, and too many books to ever try to read them all. I thought, in light of that fact, it would be nice to share some of the best of the best. Quick little hints of what lies inside the pages of some of the books from my favorite authors. 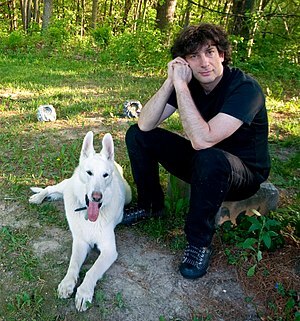 First up, the amazing, Neil Gaiman. This entry was posted on November 15, 2013 by Laney. It was filed under Author, Inspiration, Quotes, Writing and was tagged with Arts, Author, author quotes, Fantasy Authors, Fiction, laney mcmann, Literature, Neil Gaiman, Sandman, writing quotes.